Known for their unique shape and texture, these Keshi pearl earrings are sure to give your outfit an extra edge! 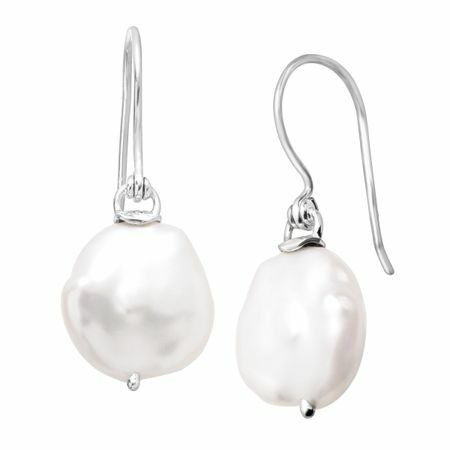 These classic drops feature sterling silver French wires with simple 10-12 mm Keshi pearls suspended from each. This piece is part of our Balinese Collection, inspired by the beauty of Southeast Asia and handmade in Bali using ancient silversmith techniques. Earrings measure 1 7/16 by 9/16 inches and feature French wire back findings.